This is a picture I took last week when driving up High Ridge Road in Stamford. I must have driven on that road hundreds of times before I looked at the picture and realized how horribly wrong it is. Now as you know there is a rally to support bike lanes on High Ridge Road this Saturday at 1:00pm at the Rippowam Middle School. Bring your bike, bring a friend, and go. And do the equivalent of padding your list of friends. If you're a roadie, bring your mountain biking sister-in-law. If you're one of those cyclists who have a wheel set worth more than the Blue Book value your car, bring that weird friend who rides a Schwinn with 27" wheels and those annoying brake levers too low to see or reach easily. Bring the friends that don't understand the difference between PSI and bar (to be fair I'm not really sure what bar is. I know that 'barre' is a legally sanctioned form of fitness-based torture administered by excellent gyms like Exhale in the South End, but I'm not sure what bar is in the context of tire pressure). 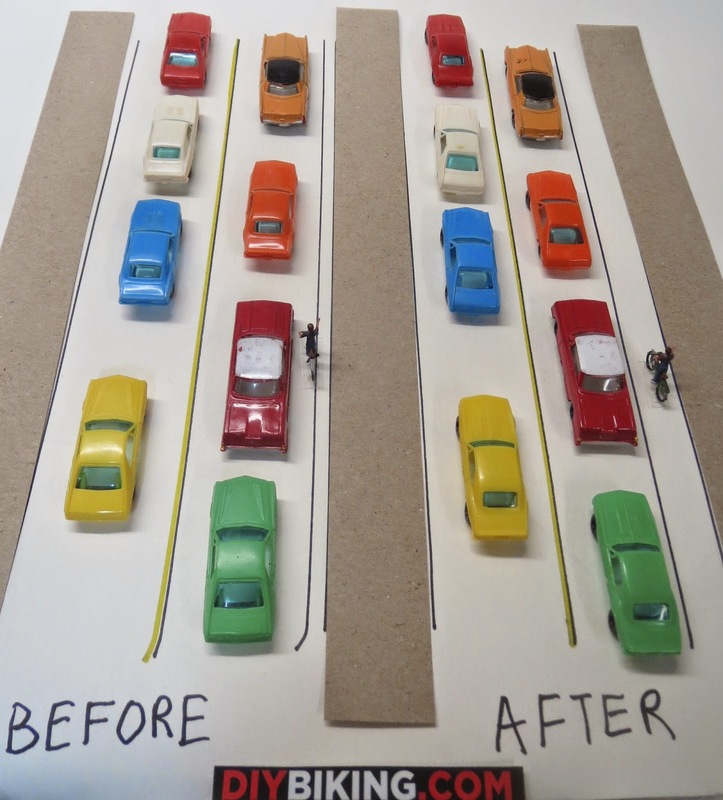 That photo, which you may have seen earlier this week on my column on Stamford Patch, is all you need to know about what it means to install bike lanes on High Ridge Road. Cars give up space they don't need while bicycle commuters gain space they do. And if more people leave their cars at home and take the bikes, that means more room on the motor vehicle lanes for you. Come to the rally on Saturday. Thanks for reading and thanks for riding.